In the beginning, photography was my passport to meeting people, learning, and experiencing new cultures. Now it is more than just a passport. It’s a tool for creating awareness and understanding across cultures, communities, and countries; a tool to make sense of our commonalities in the world we share. Nikon Ambassador and National Geographic magazine photographer Ami Vitale has traveled to more than 100 countries, bearing witness not only to violence and conflict, but also to surreal beauty and the enduring power of the human spirit. Throughout the years, Ami has lived in mud huts and war zones, contracted malaria, and donned a panda suit— keeping true to her belief in the importance of “living the story.” In 2009, after shooting a powerful story on the transport and release of one the world’s last white rhinos, Ami shifted her focus to today’s most compelling wildlife and environmental stories. Instyle Magazine named Ami one of fifty Badass Women, a series celebrating women who show up, speak up and get things done. She appeared alongside a group of incredible women including Jane Goodall, Christiane Amanpour and Ruth Bader Ginsburg. She has been named Magazine photographer of the year in the International Photographer of the Year prize, received the Daniel Pearl Award for Outstanding Reporting and named Magazine Photographer of the Year by the National Press Photographer’s Association, among others. She is a five-time recipient of World Press Photos, including 1st Prize for her 2018 National Geographic magazine story about a community in Kenya protecting elephants. She recently published a best-selling book, Panda Love, on the secret lives of pandas. Vitale was the subject of the Mission Cover Shot series on the National Geographic Channel as well as another documentary series featuring Madagascar (Over the Islands of Africa). She lectures for the National Geographic LIVE series, and she frequently gives workshops throughout the Americas, Europe, and Asia. Her photographs have been commissioned by nearly every international publication and exhibited around the world in museums and galleries. She is a founding member of Ripple Effect Images, an organization of renowned female scientists, writers, photographers and filmmakers working together to create powerful and persuasive stories that shed light on the hardships women in developing countries face and the programs that can help them. 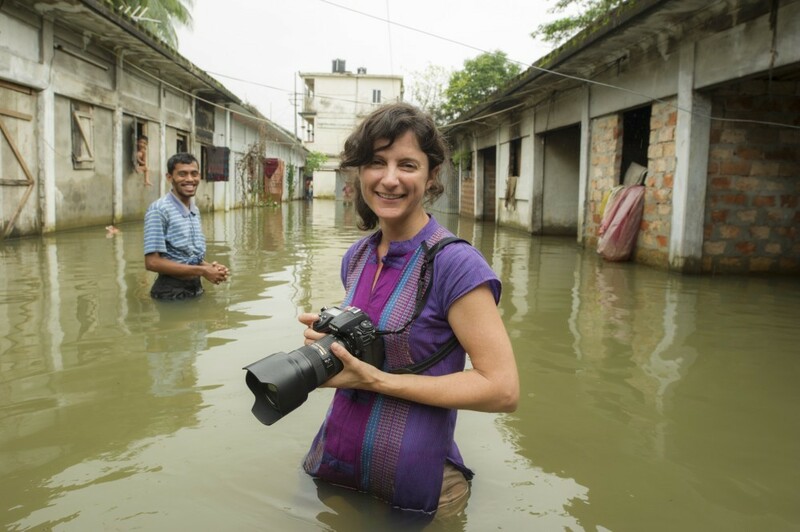 She is also on the Photojournalism Advisory Council for the Alexia Foundation. Currently based in Montana, Ami Vitale is a contract photographer with National Geographic magazine and frequently gives workshops throughout the Americas, Europe and Asia. She can be reached at ami@amivitale.com.